Millions of Americans feel fearful about visiting the dentist. This anxiety is different for each patient, but it often stems from bad experiences they had as a child, or perhaps a fear of needles. Whatever the cause of the fear is, dental sedation is an option to help patients receive the dental care they need to protect their oral health in a comfortable manner. Did you know that dental sedation can be useful in other situations as well? Your dentist in Massapequa Park explains. A patient who has a large and complex treatment plan with multiple procedures. Dental sedation allows them to complete treatment during one appointment. 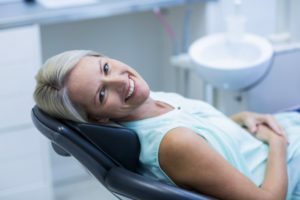 If you have a condition that you feel might be alleviated with dental sedation, talk with your sedation dentist in Massapequa Park so you can determine which type of sedation will best suit your needs. Depending on the level of your anxiety, or the extent of your needs, your dentist may recommend different types of sedation. Nitrous Oxide: This is a breathable gas that helps patients relax and “takes the edge off” of most types of dental procedures. It is also safe for children, and adults can resume normal activities after treatment with nitrous. Oral Conscious Sedation: This is administered through a pill take one hour prior to the dental procedure. While you’ll be conscious, you won’t remember most of the appointment and may feel like you were sleeping. Oral sedation is ideal for patients wanting a deeper level of relaxation. IV Sedation: This is the deepest type of sedation that utilizes medication delivered intravenously. A board-certified anesthesiologist will monitor your vital signs and heart rate during IV sedation, and medication can be adjusted during your procedure as needed. This type of sedation is ideal for patients with severe anxiety, special needs, or multiple complex procedures to complete. Do you feel like dental sedation might be the right option for you? Give your Massapequa Park dentist a call today to learn more about your options. Dr. Dory Stutman has gathered a talented team of dentists to serve patients at South Shore Dental Care. With a focus on wellness as well as optimum oral health, this team truly helps patients live their best lives. Patients will find a wide range of services to meet their needs, and dental sedation is available to accommodate those patients who need a little extra care during their appointments. Would you like to learn more about South Shore Dental Care? You can contact us by calling 516-798-3808 or through our website online. by: Dr. Stutman's Office at May 15, 2018 .